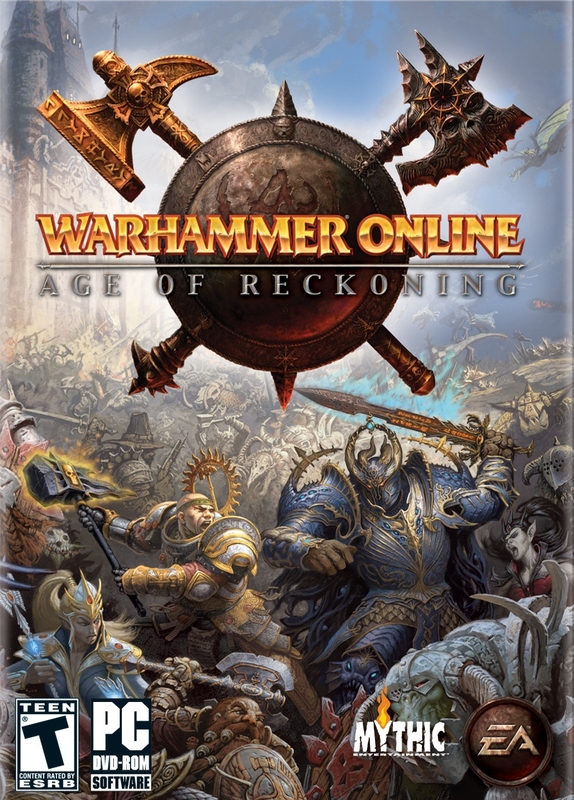 Краткое описание: Warhammer Online: Age of Reckoning features Mythic's Realm versus Realm (RvR) combat system, originally developed in Dark Age of Camelot. This takes place within three different racial pairings: Dwarfs vs. Greenskins, Empire vs. 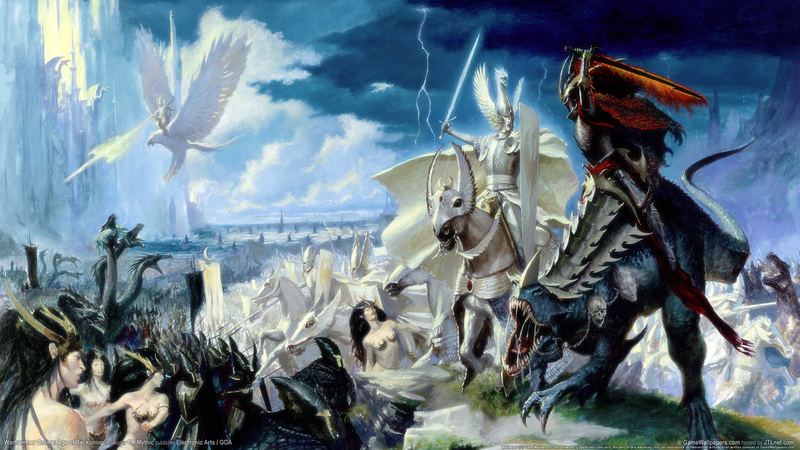 Chaos, and High Elves vs. Dark Elves. 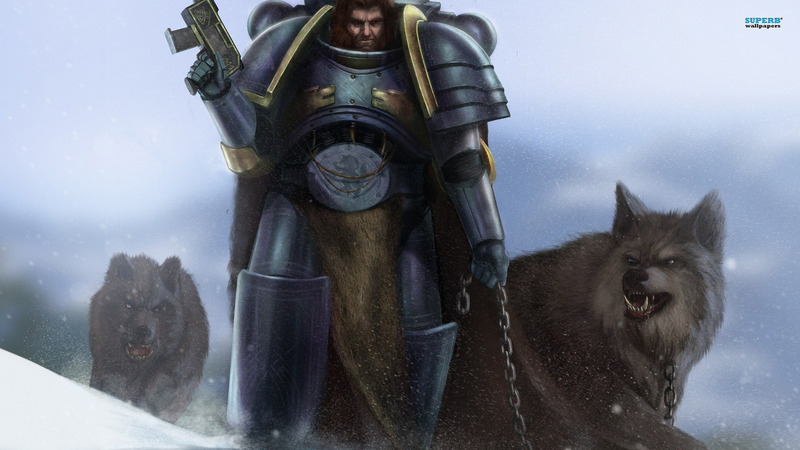 Although there are only two races per pairing, players may travel to either of the other two pairings to help fight with their friends and allies. There are four types of RvR combat: Skirmishes (random world encounters), Battlefields (objective-driven battles in RvR-specific areas), Scenarios (instanced, point-based battles against the opposing faction), and Campaigns (invading enemy lands and capital cities). RvR contribution includes both Player vs. Player (PvP) combat and (to a lesser extent) Player vs. Environment (PvE) quests so that you can assist your realm in their victory, regardless of preferred play-style. 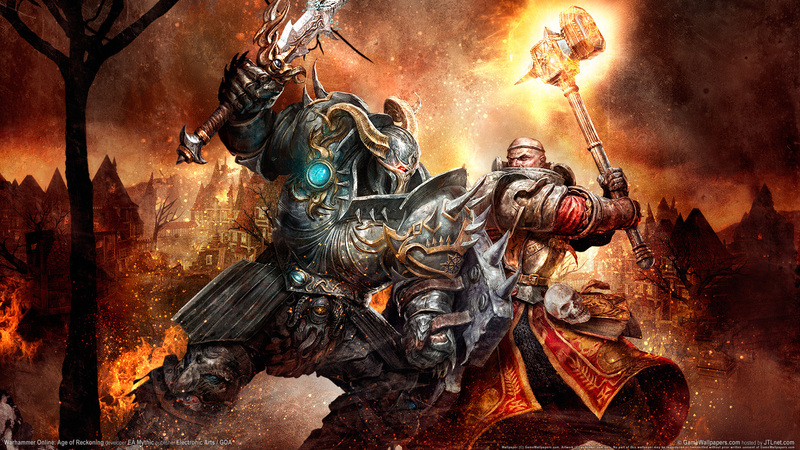 Warhammer Online: Age of Reckoning features Mythic's Realm versus Realm (RvR) combat system, originally developed in Dark Age of Camelot. This takes place within three different racial pairings: Dwarfs vs. Greenskins, Empire vs. 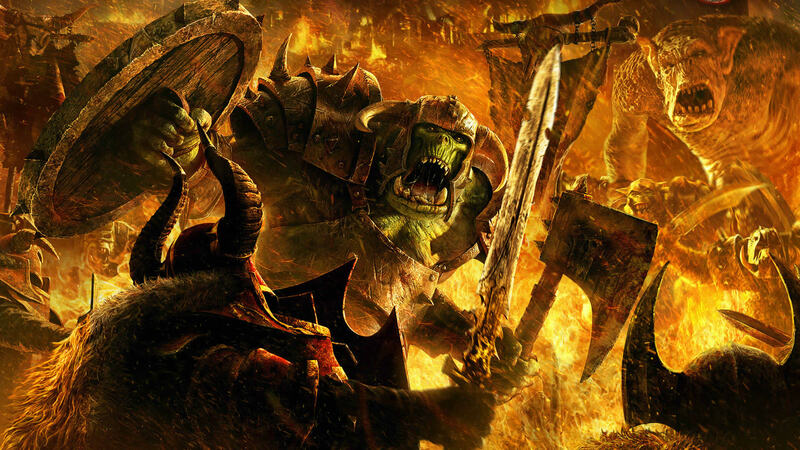 Chaos, and High Elves vs. Dark Elves. Although there are only two races per pairing, players may travel to either of the other two pairings to help fight with their friends and allies. There are four types of RvR combat: Skirmishes (random world encounters), Battlefields (objective-driven battles in RvR-specific areas), Scenarios (instanced, point-based battles against the opposing faction), and Campaigns (invading enemy lands and capital cities). RvR contribution includes both Player vs. Player (PvP) combat and (to a lesser extent) Player vs. Environment (PvE) quests so that you can assist your realm in their victory, regardless of preferred play-style.